I am on the road preparing for another series of Britain’s Lost Masterpieces for the BBC. This is the fun part; museum stores are mine to play in, and at National Trust houses I’m allowed to open any door I please. But every visit reminds me how different a painting can appear in the flesh, compared with its photograph. Pictures I’ll have been excited about online can be instantly disappointing in reality. But happily, there are always other interesting pictures to make up for it—and failing that, there is always the tea room. The campaign to abolish museum image fees in the UK was due to take another promising step forward last month. Thanks to the support of the independent peer Lord Freyberg, we had secured a meeting with an arts minister, John Glen MP, to discuss the issue. In advance of the meeting, we met to plan our strategy, and drew up what we thought was an unarguable briefing document to be included in the minister’s “red box” (an official government briefcase, made to a design unchanged since the 1860s). We then heard that another supportive MP, the Conservative Robert Jenrick, was going to join us. Things were looking good. If we could persuade the minister at least to take an interest in the campaign, then museums would take the issue more seriously. But the evening before our meeting Glen was given a new job, as part of Theresa May’s not entirely successful government “reshuffle”. Now there is a new arts minister, Michael Ellis MP. He will need some time to get to grips with his new role, but we hope to set up a meeting soon. We just have to hope he stays in the post long enough—Ellis is the third arts minister in 18 months. The good news is that Robert Jenrick has also been given a new job, in the all-important Treasury. We hope he might be a useful ally. Still, in preparing for the meeting we unearthed some important facts (god bless the Freedom of Information Act). The National Portrait Gallery (NPG) made a net profit of just £114,000 from image fees in 2017, or 0.57% of the gallery’s overall income. By comparison, the NPG’s Learning Department spent more than £2m “promoting access to and understanding of the collections to a broad range of audiences”. So, while one department does its best to restrict understanding of the NPG’s collection, another valiantly promotes it. 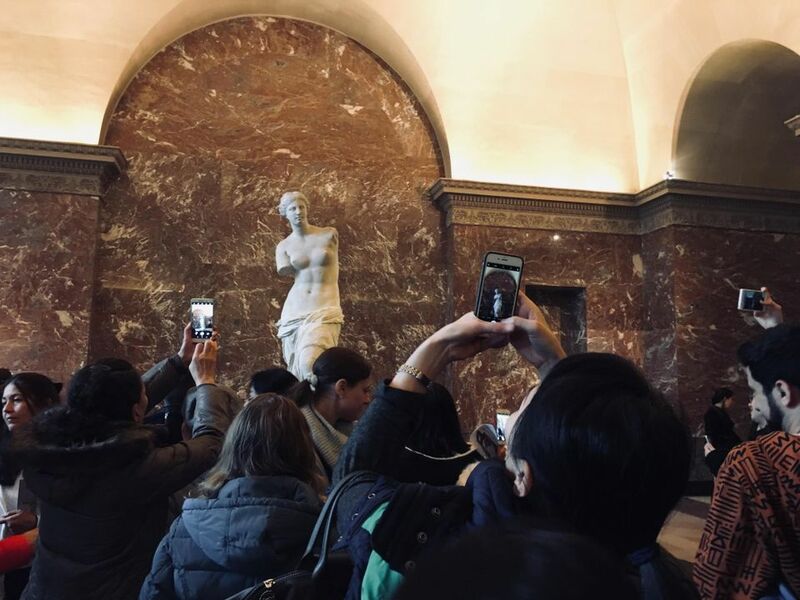 What will it take for institutions to see that the best and cheapest way to increase access to their collections is to allow the free circulation of images? But for too many directors, the bottom line is all that matters. There was a startling admission from the Tate: it doesn’t know if its image licensing operation actually generates a profit. In 2016/17, the institution generated a gross income of £383,000 from image fees. But the Tate says it is unable to calculate the associated costs, and cannot give me a net figure. Frankly, I don’t believe this; I suspect the answer is too embarrassing. But we can probably assume the Tate’s image licensing costs are not less than the NPG’s, which last year were £245,000 (£191,000 of which were salaries—selling images requires a lot of staff). That being so, income from image fees would be less than 0.2% of its overall income. Why bother? Another “live” campaign in the UK concerns the trade in antique ivory; the government wants to ban it. I haven’t been involved in the campaign, but the effects of any likely ban are already being felt. I was recently asked to value a collection of British portrait miniatures, which from the late 17th century were invariably painted on Indian ivory. I had to break the disappointing news that prices have gone through the floor.